So much has been happening here with our bespoke fire pits, fireglobes and our newly finished sculpture! 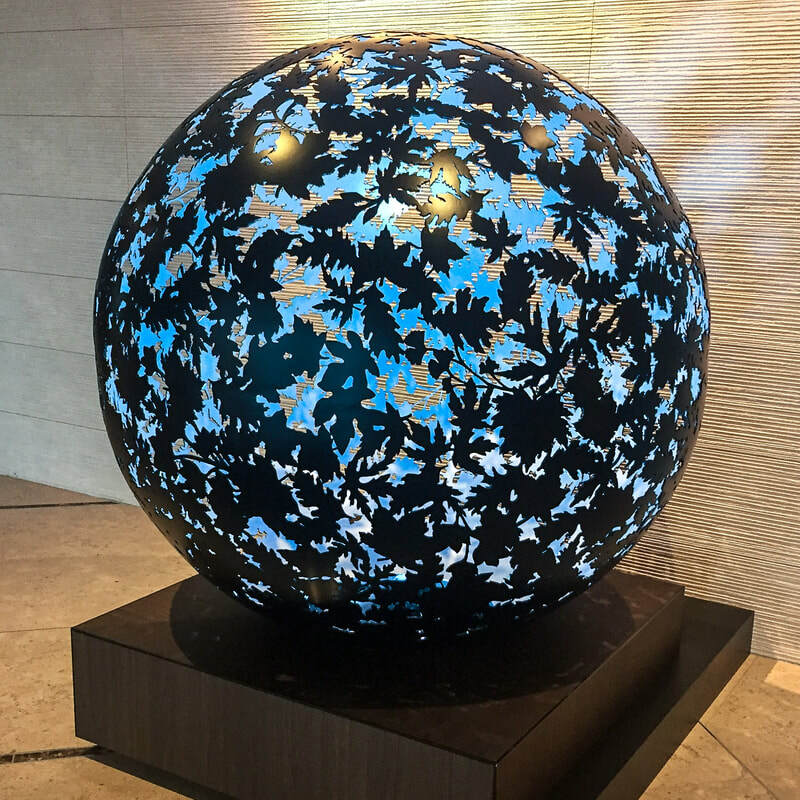 ​Kerriann has recently completed a gorgeous 1.5m handcrafted globe for the Pullman Hotel Melbourne on the Park. It takes pride of place in the main foyer and represents the beautiful Fitzroy Gardens and the changing seasons. Fire pits and fireglobe orders are still our main focus and we are looking at some new additions to our globes do please keep checking back for updates! ​It is coming into the perfect weather for nights outside chatting around the fire, so plan ahead for your fire pit or fireglobe so you can make the most of the spring nights. Lastly its market season again so keep an eye on our Facebook and Instagram pages to find out where we might be if you want to see our FireGlobes and Fire Pits up close. 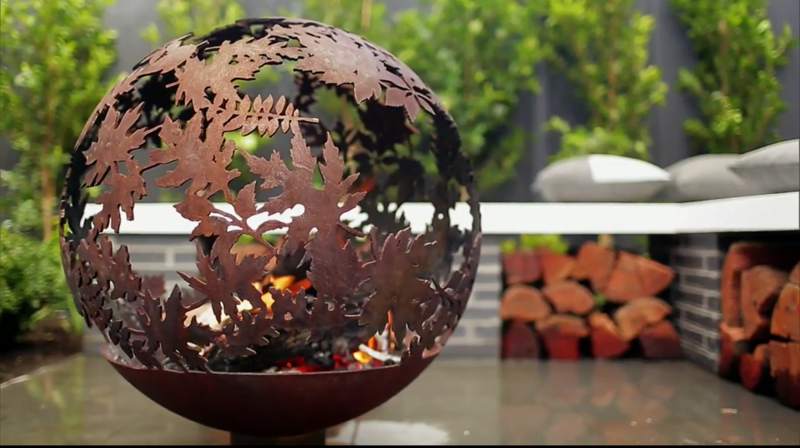 We were so excited to have our Autumn Leaves fire pit featured on The Block this year. Kerriann created this beautiful custom fire pit especially for Garden Construction Landscaping, who did an amazing job on House #1 for Sarah and Jason. We also managed an invite to the Landscapers VIP night to view the houses in person. 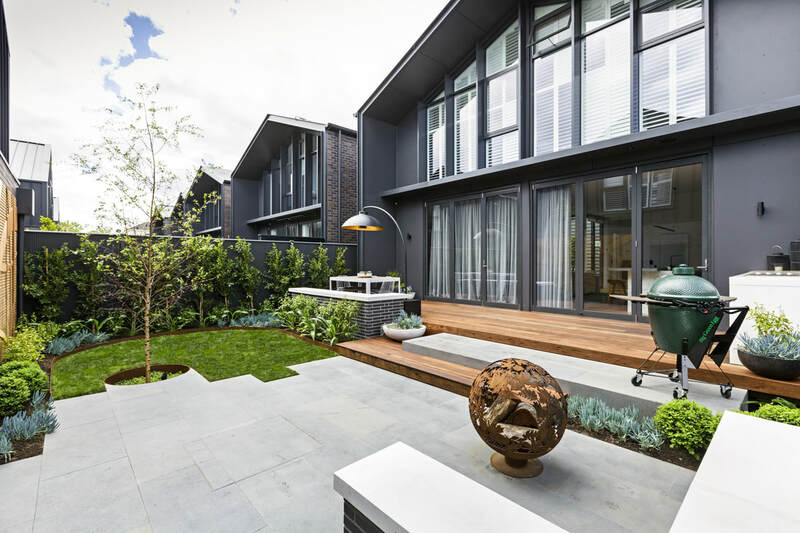 It was an amazing opportunity to see our fire pit in the completed garden setting and of course to have a sticky beak through all the finished houses. Fire pits are definitely the "hot" item this year and of course why not when you can have a sculptural piece that also functions as a fire pit.